"Login details are sent to attackers from the ongoing FTP connection only once. Malware doesn't search bookmarks or send any other files or saved connections," Avast explains. This malicious version has been compiled way back in September 2012, and is still detected by just a couple of Antivirus solutions. In the past, Cyber Criminals also used Google Adsense to promote malicious software or the modified open source softwares. 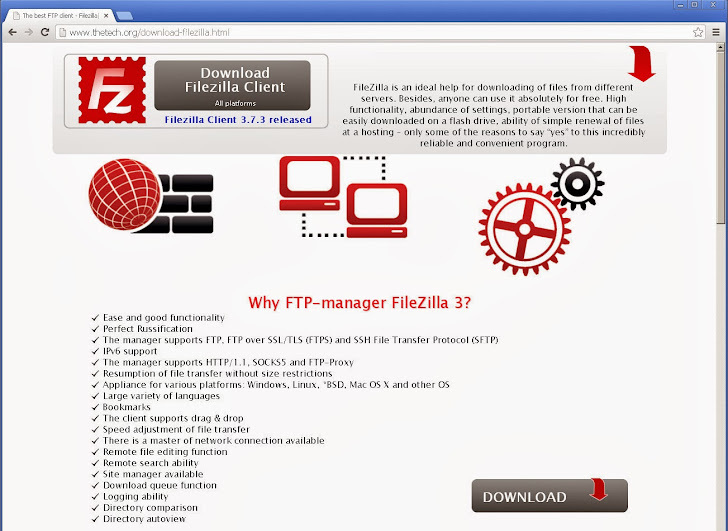 Be Careful when downloading the FileZilla FTP client, such malware could also be employed for spreading more malware. Users are recommended to downloaded the softwares from the official website only.